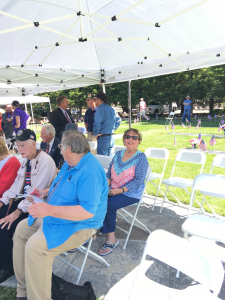 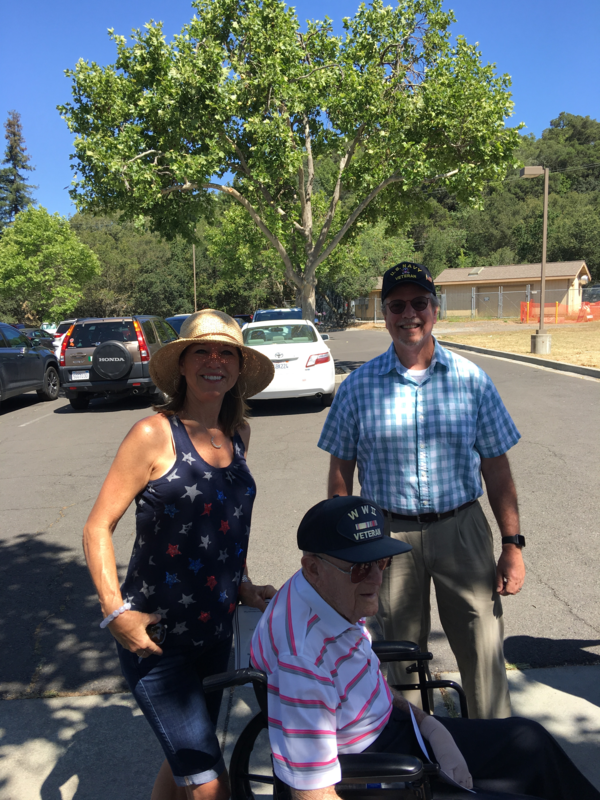 On Monday, May 28, 2018, Jean-Marie was a distinguished guest at the 60th Annual Sonoma Valley Joint Memorial Day Observance at the Sonoma Veterans Memorial Park in Sonoma, CA. Jean-Marie (left) with other Distinguished Guests in the VIP tent, awaiting the beginning of the Memorial Day Observance. Michael McCoy (right) with a Navy veteran from WWII.